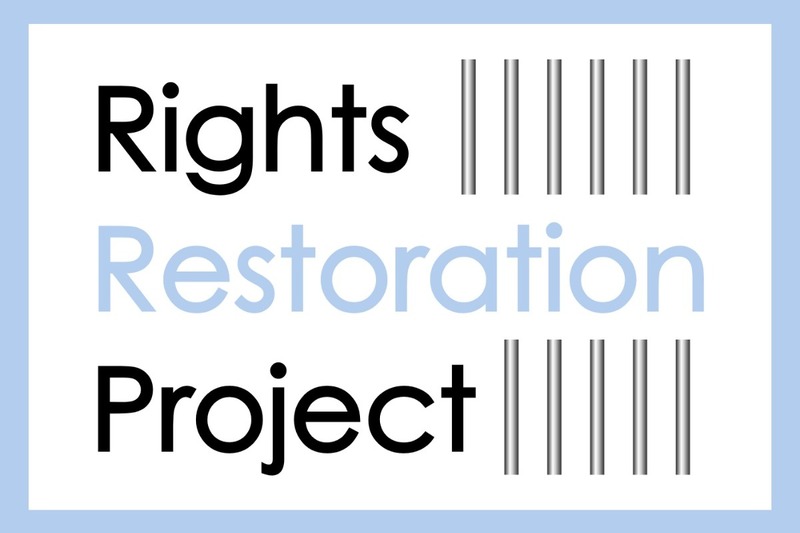 The Rights Restoration Project is a new non-profit organization dedicated to providing assistance and resources to people with criminal records. The Rights Restoration Project provides services to people with criminal records. Our primary service is providing information about individual eligibility for expungement or other mitigation of criminal records, as well as other details about the law and processes relating to mitigation of criminal records and the rights of persons with criminal records. Our two primary projects are CanIVote and CanIExpunge. The Problem: Voter suppression is one of the most pressing political issues in modern America. Restricting the voting rights of those with criminal records is the most widespread form of voter suppression in 2018. Nationally, more than 4.5 million people are disenfranchised from voting (down ~1.5 million from the release of the linked report, due to Florida's law change). According to the FBI, 73.5 million people in the US have a criminal record. That is more than one in three adults. 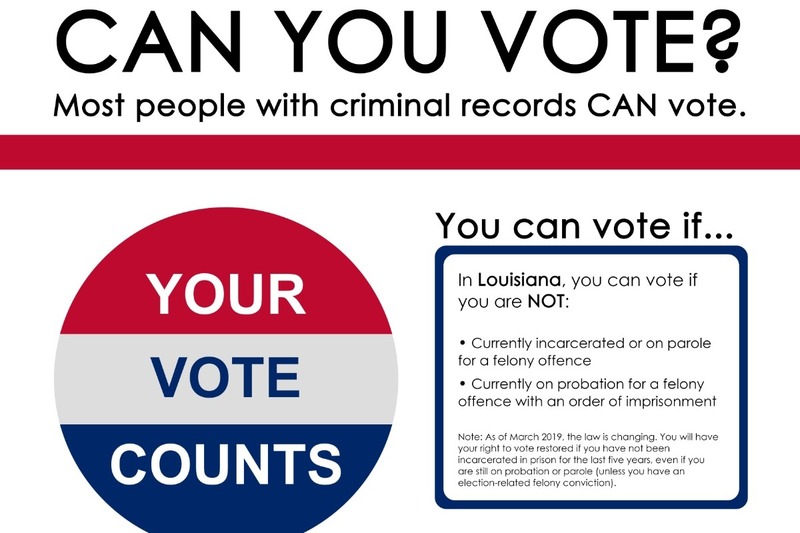 Over 90% of people with criminal records can still legally vote, but many are unaware. It is not just possible, but entirely likely that voter disenfranchisement of people with criminal records and misinformation about voter disenfranchisement has changed the results of numerous election. We suspect, from anecdotal evidence from family members and friends who believed they couldn't vote, and from reports from organizations that educate people on voting rights, that tens of millions of people may wrongly believe they are ineligible to vote or are unsure if they are eligible to vote. The solution: CanIvote is a project which aims to inform people with criminal records whether or not they are eligible to vote. 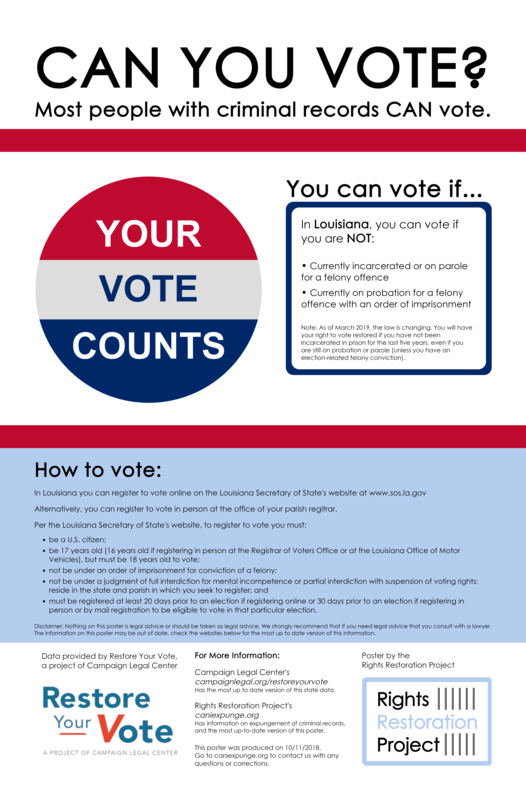 Our first step with CanIvote is to distribute posters and pamphlets based off of the data compiled by Campaign Legal for their project, Restore Your Vote, where anybody in the US with a criminal record can check if they can vote. We will be publishing designs for posters and other material on our website (caniexpunge.org) over the next several months, as we create them. The Problem: As mentioned above, more than one in three adults in the US have a criminal record. Criminal records often cut off people’s access to housing, employment, and educational opportunities. The majority of these people only have criminal records for misdemeanors, low-level offenses, or are only pre-conviction records. Expungement ameliorates many of the damaging aspects of a criminal record and reduces recidivism - the rate at which people commit new crimes. This is why we do this work. However, we can't do it alone. Legal professionals, programmers, and designers will all be needed to expand our services. We also need reforms to our system of mass incarceration. For more information on the policy goals of the Rights Restoration Project, see our policy page . 1) To educate persons impacted by carceral systems about mitigation of criminal records. 2) To educate persons impacted by carceral systems about their rights. 3) To advocate on the behalf of persons impacted by carceral systems. 4) To assist in the development and progress of communities which have been disproportionately criminalized. 1) Providing educational resources, including digital and physical materials about the state of the law, especially as it regards persons with criminal records. 2) Organizing, hosting, and collaborating on community events designed to educate the public. 3) Providing support and materials to organizations advocating for and working on the behalf of persons impacted by carceral systems. 4) Directly interacting with and educating those who are interested in criminal records mitigation. The Rights Restoration Project currently has three board members, all of whom are alumni of Students for Sensible Drug Policy. Ken Seligson: An attorney and social justice advocate, Ken has substantial experience working with equity applicants in the California cannabis industry. Scott Cecil: An activist and community organizer, Scott serves on the Board of Catharsis on the Mall, and is a former staff member of Students for Sensible Drug Policy and the Minority Cannabis Business Association and helped with the inaugural National Expungement Week. James Gould: A web developer and prison policy advocate, James Gould serves on the board of Students for Sensible Drug Policy and is the founder of the Rights Restoration Project. Producing and printing our materials and other resources costs money in addition to the extensive amount of time our incredibly small team of advocates spends researching the laws and regulations of various jurisdictions. We need your support to continue producing these posters and distributing them into the hands of activists, advocates, attorneys, and organizations across the United States. We’re trying to get posters placed in high-traffic indoor areas across the country, where hundreds of thousands of people from disproportionately criminalized and marginalized communities will see them. **Most money raised by this fundraiser will go directly towards printing costs for this project. ** Printing and shipping 3 posters costs about $5. We want to print hundreds of posters. This fundraiser, if successful, will allow us to print a first-wave of posters for every state. Posters are the most cost-effective and efficient manner to get this information out there. We will be posting all poster designs on our website and encouraging people to print and share them freely as well. Various organizational costs will take up a small portion of this fundraiser’s revenue. Costs include printing other materials, governmental fees for setting up a tax-exempt nonprofit, and web hosting. As mentioned above, the founding Board members of the Rights Restoration Project are alumni of Students for Sensible Drug Policy, the largest, grassroots global network of youth activists working to end the war on drugs and mass incarceration. Finally, we are hoping to raise $500 which we will use to sponsor the SSDP2019 conference in Chicago in the spring of 2019. This will allow us to get our posters and other printed material in the hands of students from all across the United States. We hope to use the energy and enthusiasm of SSDP’s youth activists to disseminate our resources onto campuses and then into their surrounding communities. If you would like to be added to our email list, please sign up here and we will keep you up-to-date on our work. Hello all, thank you so much for your generous donations! GoFundMe asked us to post an update explaining how we'll be withdrawing funds since we don't intend to draw funds directly into the Rights Restoration Project's bank account. Our plan is to withdraw the funds to the bank account of our president and executive director, James Gould. We are not depositing directly into a bank account for the nonprofit because we don't have one yet. We're still 501(c)3 pending, so all the banks we checked have monthly charges for a nonprofit bank account. Once we get 501(c)3, hopefully early next year, the organization's money will be transferred to an organizational bank account. We also intend to release annual reports detailing our revenue and operating expenses in the coming years.